1 Bilal Thiab: 43 Days of Hunger Strike to Protest Administrative Detention. On 01.03.2012, administrative detainee Bilal Thiab, 27 years old from Kufr Ra’i, Jenin, started an open-ended hunger strike in solidarity with Hana’ Ash-Shalabi and against administrative detention. He has been in administrative detention since August 2011. After preventing him from meeting his lawyer, Thiab stopped drinking water as a second phase of his hunger strike. His health is deteriorating and he is currently in Ramleh prison “hospital” and can only move on a wheelchair. Thiab was detained several times, spending a total of 7 years in Israeli jails, and one year in administrative detention, which has been recently renewed. 2 Tha’ir Halahleh: 43 Days of Hunger Strike to Protest Administrative Detention. On 01.03.2012, administrative detainee Tha’ir Halahleh, 33 years old from Kharas, Hebron, started an open-ended hunger strike in solidarity with Hana’ Ash-Shalabi and against administrative detention. On 05.04.2012, and despite prior coordination between the Israeli prison authority and the Red Cross, Halahleh’s family was not allowed to visit him. After the long journey, the family was told by the Israeli prison authority that Halahleh is prevented from visits until June 2012. His health is deteriorating and he is currently in Ramleh prison “hospital”. More recently, his lawyer was prevented from seeing him. Halahleh was detained several times, spending a total of 9 years in Israeli dungeons, 6 of which in administrative detention without charge or trial. With his latest detention, he has been held without charge or trial since 22 months. 3 Hasan As-Safadi: 38 Days of Hunger Strike to Protest Administrative Detention. On 05.03.2012, administrative detainee Hasan As-Safadi, 34 years old from Nablus, started an open-ended hunger strike to protest administrative detention. 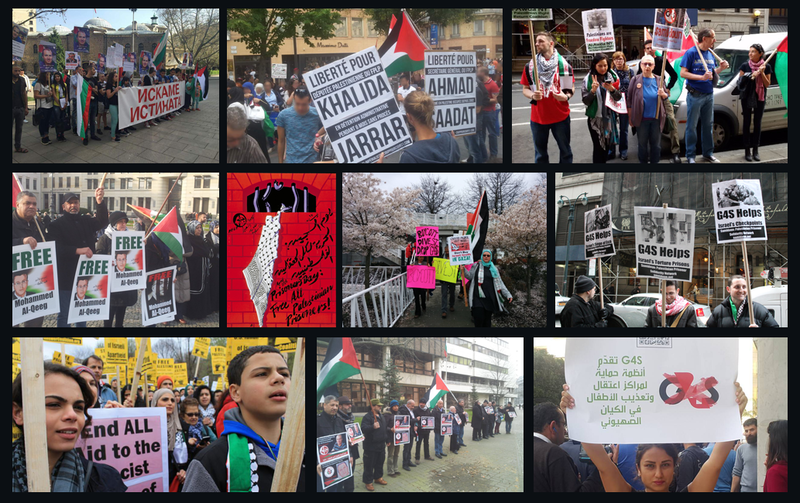 On 04.04.2012 As-Safadi was transferred from Majido prison to Al-Jalameh interrogation centre and locked up with Israeli criminals. Two days later, he was transferred to Ramleh prison “hospital” after his health deteriorated. He suffers from unconsciousness and at one time fell and injured his leg badly. As-Safadi also stopped drinking water and suffers from severe headache and stomachache, low sugar and blood levels and lost 24 kg. To force As-Safadi to break his hunger strike, Israeli jailors told him that he will be fined 1000 NIS for every strike day and that family visits will be prohibited. On 10.04.2012, he was reported to be in coma as his health continues to deteriorate. As-Safadi was administratively detained for 10 years, during which he was released twice and rearrested. According to his sister, the Israeli prison authority offered him deportation in exchange for captivity but he refused. His current administrative detention has been repeatedly renewed since 30.06.2011. 4 Omar Abu Shallal: 38 Days of Hunger Strike to Protest Administrative Detention. On 05.03.2012, administrative detainee Omar Abu Shallal, 54 years old from Nablus, started an open-ended hunger strike to protest administrative detention. His health deteriorated rapidly and he is currently in Ramleh prison “hospital”. 5 Ahmad Nabhan Saqer: 28 Days of Hunger Strike to Protest Administrative Detention. On 18.03.2012, administrative detainee Ahmad Nabhan Saqer, 47 years old from Askar RC, Nablus, started an open-ended hunger strike in protest of the arbitrary so-called administrative detention. He is longest serving administrative detainee and has been locked up behind Zionist bars without charge or trial since 28.11.2008. Saqer is currently held captive in Shatta prison. His current administrative detention ends on 24.04.2012, and he threatens to stop drinking water in case his administrative detention is renewed for the 14th time. Saqer lost 17 kg due to the hunger strike and he suffers from heart problems and pain in the limbs. 6 Mohammad At-Taj: 27 Days of Hunger Strike to Demand Recognition as POW. Palestinian prisoner Mohammad At-Taj, 44 years old from Toubas, is on his 27th day of hunger strike. He started an open-ended hunger strike to demand Israeli prison authority treat him as Prisoner of War (POW). At-Taj was sentenced to 18 years in Israeli captivity. He has been in isolation in Majiddo prison since his hunger strike, before recently being transferred to Shatta prison, where he continues his hunger strike. 7 Faris An-Natour: 24 Days of Hunger Strike to Protest Administrative Detention. Administrative detainee Faris An-Natour, from Nablus, has been on an open-ended hunger strike since 24 days in protest of the arbitrary so-called administrative detention. He is currently held captive in isolation cells in Al- Jalameh prison. 8 Ja’far Izz Iddin: 23 Days of Hunger Strike to Protest Administrative Detention. On 22.03.2012, administrative detainee Ja’far Izz Iddin, 41 years old from Arraba, Jenin, started an open-ended hunger strike to protest the arbitrary so-called administrative detention. Izz Iddin suffers from severe headache, low blood pressure and low sugar levels and pain in the limbs and kidney and he lost 11 kg. Despite isolation in Al-Jalameh and his deteriorating health, Izz Iddin told his lawyer: “I will not be broken or defeated… either freedom and victory or martyrdom”. For refusing to break his hunger strike, Izz Iddin was punished with a fine of 1500 NIS and deprived of family visits. In protest, he decided to stop drinking water. More recently, his lawyer was prevented from seeing him. Izz Iddin was kidnapped from his home on 21.03.2012 at 3 am, handcuffed, blindfolded and dragged half naked to Dotan illegal Zionist colony and left in the cold from 4 am till 9 am, before being transferred to Majiddo prison. Next day he was ordered into administrative detention. According to latest reports, Izz Iddin was transferred to Ramleh prison “hospital” after his health deteriorated rapidly. 9 Oday Daraghmeh: 21 Days of Hunger Strike to Protest Administrative Detention. Administrative detainee Oday Daraghmeh, from Toubas, is on his 21st day of hunger strike to protest the arbitrary so-called administrative detention. He is currently held captive in Al-Jalameh prison. 10 Abdallah Barghouthi: 1 Day of Hunger Strike to Protest the Policy of Isolation. Today, 12.04.2012, Palestinian prisoner Abdallah Barghouthi, 39 years old from Beit Rima, and held captive in Israeli dungeons since 2003, started an open-ended hunger strike to protest the policy of isolation. He will continue his hunger strike until he is released from isolation and allowed to see his father, his wife and children. According to former detainee Ahlam At-Tamimi, Barghouthi said that all isolated Palestinian prisoners held captive in Israeli dungeons will join the hunger strike on 15.04.2012 to demand an end to isolation. Currently, Barghouthi is held captive in Ramleh isolation cells. Mahmoud As-Sirsik: 21 Days of Hunger Strike to Protest Administrative Detention. Administrative detainee Mahmoud As-Sirsik, 25 years old from Rafah RC, Gaza, has been on hunger strike since 21 days to protest his illegal detention. He was detained on 23.08.2009 while on his way to Balata RC to join the football team with which he had signed a contract as player. Since then, his detention has been renewed without charge or trial. On 08.04.2012, he was transferred from Naqab prison to the isolation cells of Eshel prison. Mohammad Sleiman: 3 Days of Strike to Protest Administrative Detention. To protest his illegal detention without charge or trial, Palestinian prisoner Mohammad Sleiman, from Aroura, is on strike since 3 days by which he refuses to take blood units. A Thalassemia patient, Sleiman is currently held captive without charge or trial in Ofer since over a year. On 06.04.2012, his administrative detention was renewed for the 3rdconsecutive time despite his illness and need for blood units every 2 to 3 weeks. On 02.04.2012, Ahmad Haj Ali, 74 years old from Nablus, stopped his hunger strike which lasted 15 days after the Israeli prison authority promised not to renew his administrative detention and to release him on 06.04.2012. He had been illegally detained without trial or charge since 07.06.2011. Some reports mention that he already resumed his hunger strike on 09.04.2012 after the Israeli prison authority extended his administrative detention till 05.05.2012. Other reports say that he will resume his hunger strike on 17.04.2012. Haj Ali, the eldest administrative detainee held captive in Israeli dungeons, is one of 27 members of the Palestinian Legislative Council (PLC) held captive by Israel, and has been in a renewed administrative detention in Majiddo dungeon since 9 months. Al-Haj Ali suffers from various ailments including diabetes and heart problems. 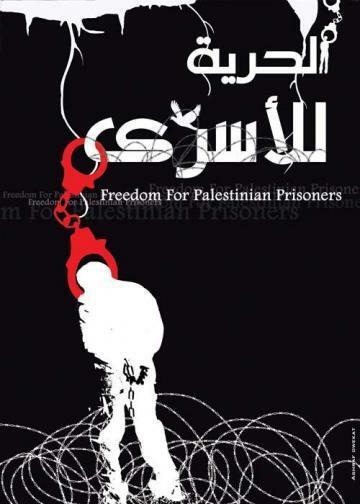 On 07.04.2012, Palestinian Prisoner Society reported that at least 36 Palestinian detainees were punished by Israeli prison authority for their solidarity with their fellow comrades on hunger strike. They were each fined a sum of 420 NIS, their prison section is to be closed for 2 months to restrict their movement and their interaction with other prisoners and are not to be allowed any family visits for 2 months. According to latest statistics, there are 4700 Palestinian prisoners held captive in Israeli dungeons, including 185 children, 9 female prisoners, 322 administrative detainees and 27 MPs.